SAF Credits: This program has been approved for 4.5 Category 1-CF Hours. As arborists, we recognize that trees die. Our clients commonly expect their trees to live long, trouble-free lives. When they don't, our clients look to us for an explanation. Knowledge of these principles will enable us to become better arborists by understanding the rigors trees face on a day to day basis. Much of our understanding of tree risk is driven by high-profile, tree-related litigation, perpetuating the poor understanding of risk. Risk is managed over time by implementing thoughtful risk reduction strategies. How does one go about selecting and planting urban trees appropriate to both current and projected climate conditions? Current models, research tools and scrutiny of the world's temperate flora provide insights on how to move forward with planting a resilient and diverse urban forest. When the next significant storm event will occur in Virginia is unknown, but our collective understanding is that it will occur. This session will provide historic insights on the three elements of storm preparedness: planning, response and recovery. REGISTER NOW for this exciting workshop! 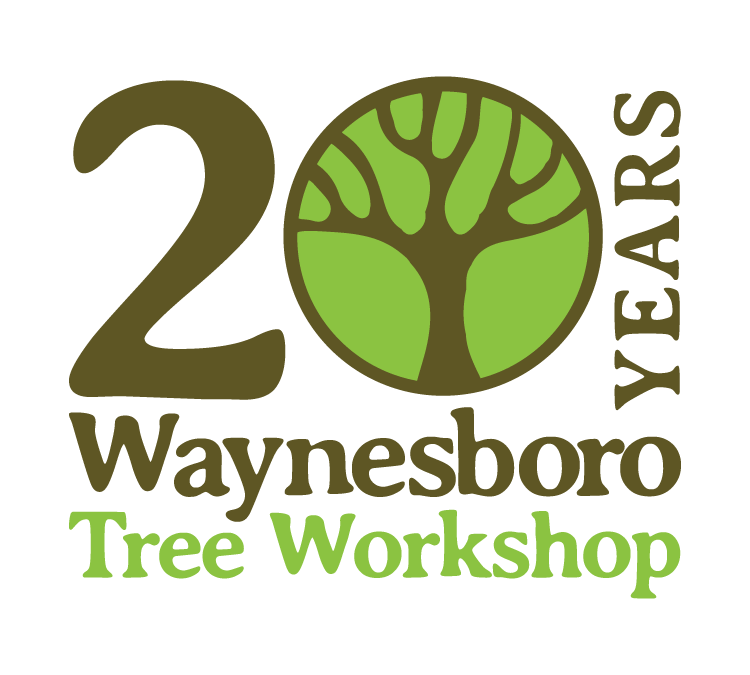 On behalf of Waynesboro Parks & Recreation, Trees Virginia, and the Virginia Department of Forestry, we are pleased to present the 21st annual Waynesboro Tree Workshop: Reveling in the Magnificence of Trees and ArborMaster Training. The workshop is divided into two tracks, ArborMaster and Lecture. The ArborMaster track teaches hands-on techniques and skills vital for tree climbers, groundsmen, and anyone in the production side of tree work. The lecture track is divided into two sessions of indoor lectures and outdoor demonstrations and is geared towards those working in municipalities, government agencies, and private industry. There is something for everyone at this workshop and regardless of track, you will be hearing from arboriculture and urban forestry experts. AGENDA ~ Canopy Counts - Planning for and Protecting Our Urban Forests"
Trees Virginia has received a preferred lodging rate of $91.00/night (+taxes) at the Holiday Inn Tanglewood! You can take advantage of this rate by clicking on this link to reserve a room. Karen Firehock, Green Infrastructure Center Inc. Need Lodging? Click here Trees Virginia to receive the preferred rate of $91.00/night at the Holiday Inn Tanglewood in Roanoke.